SKU: seca813. Categories: Floor Scale, Medical, Seca. 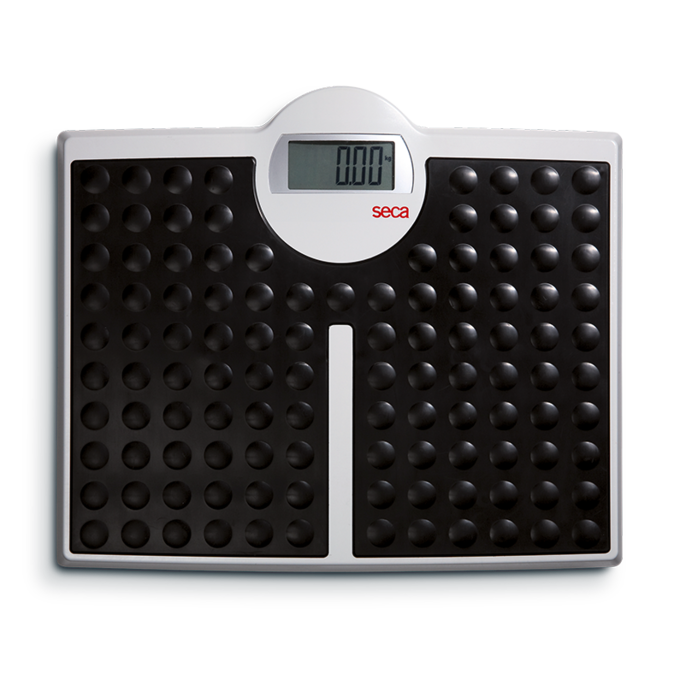 Because of the increasing amount of individuals weighing more, the seca 813 can easily hold up to 200 kg on its extra wide platform. The tough rubber coating takes the heaviest challenges lightly and the flat construction makes stepping on very easy. Thanks to its solid steel frame, the seca 813 can withstand 200 kg and features large LCD figures for easy reading. Furthermore, its extra wide surface and flat shape facilitate trouble-free weighing of heavyweight patients. 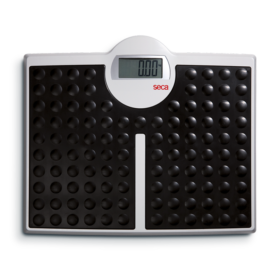 For this weighing platform Seca has chosen a high quality ,two-component material which is soft like rubber and pleasant to the touch. But don’t be fooled – this material is also tough. It fulfils two requirements at the same time: pleasant weighing and an easy-to-clean surface that stands up to all commercially available cleaning and disinfecting products.